* 10 mm inside and on-the-tread clearance. 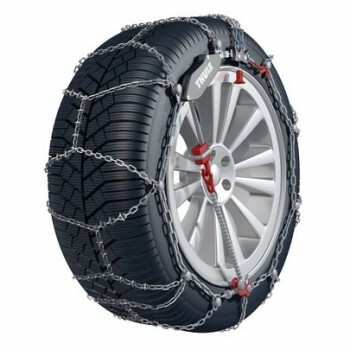 * Thule CK-7 is often suggested by car manufacturers as a solution for vehicles with problems in snow chain fitting, like Citroën C4 Picasso, C3 Picasso, Fiat Bravo, Lancia Delta, Peugeot 1007, Peugeot 207, Renault Laguna II, Renault Laguna III, Seat Exeo. * Self-tensioning system: just one stop to fit the chain. * Micro-regulation system for perfect tensioning of the chain. * Icebreaker reinforcements added to provide better grip, reliability and durability. * Anti-scratch nylon bumpers protecting alloy wheels (optional application). * Innovative design and unique color-coded assembling points.